> Uncategorized > Are African Languages Responsible for Political Uprisings on the Continent? Finally Saudi Arabia comes out to agree with Turkey that the Saudi Arabia journalist and critic, Jamal Khashoggi was murdered, though allegedly not on the crown prince’s orders. It should be noted that Khashoggi a well-known critic for his country’s vices made News for the past weeks after Turkey claimed, with video evidence that the journalist made his way into the Saudi embassy ye there is no evidence to whatsoever to prove that he ever came out. The Committee for Protection of Journalists (CPJ) reported in the year 2017 that out of the 262 journalists imprisoned worldwide, 66 of these were in Africa alone with Egypt being the biggest perpetrator followed by Eritrea. . While 33 of the arrested journalists were in sub-Saharan Africa the 27 were in North Africa with Egypt having 20, followed by Eritrea with 16 and Uganda coming in 3rd place with 6 journalists! The above is a global example of how freedom of expression especially in the media is compromised and this too is a major mountain in several, if not all African states. For example, Rodney Sieh from Liberia was sentenced to 5000 years in prison after a law suit was won against him by a government official as revenge for the former exposing misuse of certain funds! 5000 years is an outrageous amount of years for a citizen alerting the public about the vices in a government but on a positive note, Rodney was later released after an international outcry. We see the African and as well as other parts of the world are frowned upon by authoritarian regimes that cannot stomach criticism unlike in the more developed countries where freedom of speech is respected and appreciated. It should be noted that whatever journalists report in the media is in one language or another regardless of whether it is broadcast, print or online media thus pointing at the importance of languages in our societies. When journalists break News in a language a certain people know best, it calls for action and this could be positive or negative reactions and in the case of Africa recently, there has been an outcry for political and economic changes. In Uganda for example, a 36 year old Afro pop artist turned into politician stood up through social media and broadcasting houses against what he called vices in Uganda’s political atmosphere that he claims the very government perpetuating them, fought for in 1986. And these include; the president’s over stay in power as his Excellency Yoweri Kaguta Museveni has ruled for 32 years after having the constitution amended by having term limits and age limits scrapped. Through the artists social media platform, the youth were encouraged to voice their dissatisfaction which spiraled into crack down of demonstrations, beating up of journalists like Reuters’ James Akena and the detaining of political figures like Bobi Wine/Robert Kyagulanyi Ssentamu (the Afro pop artist) that saw his family claim had been brutalized and thus requiring medical intervention from the USA upon his release as Uganda’s Medical sector is lacking. The languages used in the artist’s verbal fight for freedom include Luganda and English. Let us look at the Egypt uprising in the year 2011 that saw the country’s long serving president Hosni Mubarak step down from power after massive protests broke out with the help of social media in languages like Standard Arabic, Egyptian Arabic, Berber, English and French. 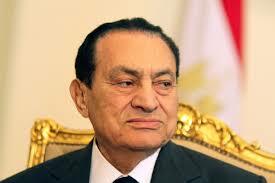 Hosni Mubarak was pressured out of power in 2011 after massive protests. In the year 2010 uprisings in Tunisia came up calling for President Ben Ali to relinquish power as the people were dissatisfied with political oppression and life in general forcing him to flee and languages used here were Standard Arabic and French. As for the then longest serving president; Robert Mugabe of Zimbabwe, the shove from power in 2017 came unexpected because this happened without the physical intervention of developed countries or any major shed of blood and the languages used here were Shona. Southern Sotho, English, Tswana, Xhosa, Tonga, Tsonga, Venda, Chewa to mention a few. These languages were vital especially as opinions and developments of ousting Mugabe poured in on social media and people each tweeted in their native languages. 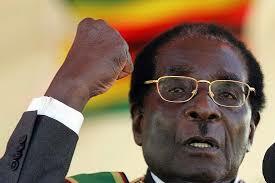 African Languages helped oust Robert Mugabe from power after over 3 decades. 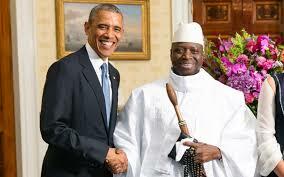 Then we have the self-proclaimed healer of AIDs, former Gambia president, Yahyah Jammeh who ran the country for 22 years and intended to keep himself in power after losing to the ballot box but was pressured off that idea by the people of Gambia, the West African armies and international pressure in 2017. Languages in this country include, Mandinka, Fula, Wolof and English. Former Gambian president Yahya Jammeh who was pressured out of power after losing to the ballot.